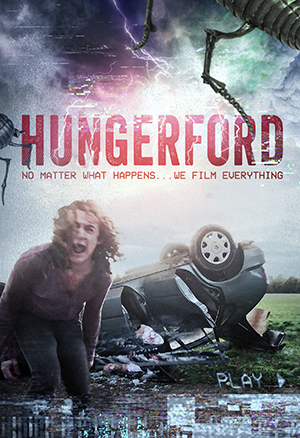 On April 27th 2015 Wildseed Studios' debut feature film, 'Hungerford', launched on iTunes and begins what we hope will be a digital voyage around the world to success. We coined the term 'Microbuster' to describe movies made on micro budgets but with blockbuster ambitions - and it perfectly captures what Drew Casson, 19, achieved when he made the film. When Hungerford was selected for SCI-FI-LONDON, Drew became the youngest director on record to have a feature film screened at the UK's National Film Theatre on the South Bank. The film garnered incredibly positive reviews and In the last month Hungerford has won Best Sci-Fi Horror at the Berlin Independent Film Festival, received a Special Jury Mention at Fantasporto where Georgia Bradley, with no previous screen credits, also won Best Actress for her role as Philippa. You are probably writing this yourself or with your writing collaborator. That means the work you do on this is more or less free which means you should do lots and lots of work on it. Jesse (our Creative Director) and Drew spent the best part of a year getting the script right and making sure that it was achievable on the slender resources that we had. If the script isn't right the film is unlikely to work. Don't start until someone whose judgment you trust tells you it's as ready as it can be. A lot of the work you do on the script must be about character and story. Don't attempt to compete on spectacle; you will never win against a Hollywood blockbuster. Don't build an incredibly complex plot that requires extravagant set pieces to keep the story moving. Well worked character storylines will do all the hard work of keeping the audience engaged in the gaps between special effects and set pieces and cost far less to pull off. Write your script around the resources available to you. Live near a disused factory? Set your film there. Have a mate with a drone? Use it. Have friends with spare bedrooms in a particular location - shoot there and make sure the cast and crew aren't expecting hotel accommodation. Can anyone cook? Make and freeze lunches and heat them up on location. Multi-tasking is the name of the game. The producer is the caterer, the make-up artist the script supervisor, the art department, the costume department etc. etc. And they all need to be paid as little as possible. We always try and pay everyone something, usually the same and usually the minimum wage but you need people who are willing, energetic and happy to muck in. Jobsworth's kill the buzz. Sometimes this means you can't use the professionals that put themselves forward and accept the low fee (with profit shares) because their professional standards mean (often rightly) that they can only work one way. Someone needs to be in charge of Health and Safety - don't cut corners on that or on insurance. Insurance for low budget film is cheap and essential if you want to hire any professional equipment. YouTube is truly an astonishing education and 'how-to' resource. We needed a special effects make-up artist - the producer's daughter (who also appeared in the film and was a floor assistant) taught herself to make wounds and burns on YouTube - hear the audience wince when some of the effects are shown on screen. Sometimes though you just have to hire a pro. One of our most valuable hires was our amazing acting coach, Sarah Perugia. Our cast were unknown and had, for the most part, no formal training. Sarah helped Drew and Jesse draw some wonderful performances out of them which contributed massively to the authenticity of the film. If you get an experienced camera person involved they will have strong preferences for particular camera and lens packages. It's important that you get pictures that are technically up to scratch. It's more important that your camera is robust, easy and quick enough to use and above all cheap, preferably free. The success of the film will not rest on the quality of the picture once you get past a basic quality threshold. Also, tripods and dollies are your enemy - they make everything slower unlike hand-held shots which are quick to set up and adjust. Yes. While you can get away with a lot in terms of picture, if your sound recording is not good the film will be unwatchable. Get a decent sound kit and try and get someone on sound that knows what they are doing. Good sound will save you days and thousands of pounds in post-production and will help the audience to engage with your film. Bad sound will shut them out of the story and kill it. 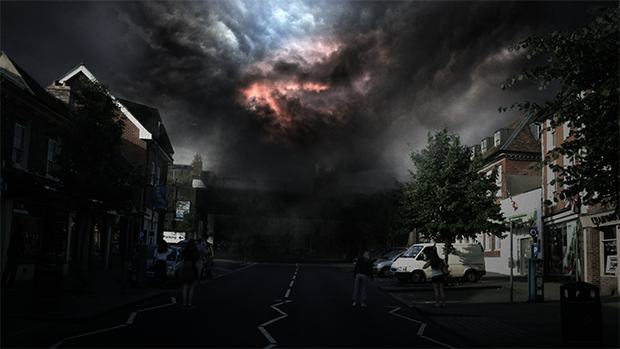 Keep some money back to go to a great post-production house (we used the outstanding Films@59 in Bristol). They spent a day tweaking our picture, three days sorting out our mix and added a huge amount to the film, masses more than we had any right to expect. You can achieve an incredible amount with an edit machine that will cost you less than £2,000. This was a revelation to me who had been brought up using the post houses of Soho. With a £2k computer, which one of the crew ordered the bits for and then assembled themselves, and an Adobe Creative Cloud license you have a complete post production facility on your desk that will take you from edit to grade if you want it to. People will give up time to work on your film if it isn't going to go on for too long. We shot in 9 days then had 3 days of pickups. The 9 days were incredibly intense but achievable. Plan your days carefully, stick to your schedule, have weather cover if you are filming in the UK and avoid lengthy travel between locations - those hours stuck on the motorway are supremely unproductive. Always remember that not showing something can be more effective than showing it. Drew does this very well, he shows just enough of a visual effect for example for the audience to buy it but not long enough for them to start looking at how it was done - he's on to the next thing in a flash. Do not strive for perfection - know when good is good enough. They say a film is never finished, you just run out of time. That can be a killer attitude if your director runs away with it. Everything has to be good enough to justify its place in the film, but perfection is a multi-million dollar ambition. We hope you watch the movie and enjoy it - we have been so buoyed up by the success of the first that we are shooting the sequel in April 2015 and we hope you will watch and enjoy that one too when it comes out this Autumn. We'll be sure to let you know if we stuck to our own 10 Golden Rules for Film Number 2.